I wrote a post a while ago on two new books on boxing and modern culture. I’ve just started reading Kasia Boddy’s Boxing: A Cultural History, which is a real treasure trove, so more on that in due course. 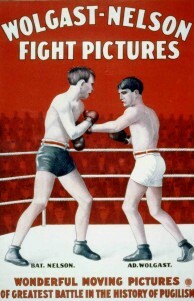 I’ve not yet laid eyes on Dan Streible’s Fight Pictures: A History of Boxing and Early Cinema, which is going to be a real treat, but anyone who’s in New York might like to know about an illustrated lecture the author will be giving at Light Industry, a new venue for film and electronic art in Brooklyn. The event takes place on 6 May at 8.00pm, and costs $6. It’s a compelling history, one well worth telling and telling again. More from the ring in the near future. « Colourful stories no. 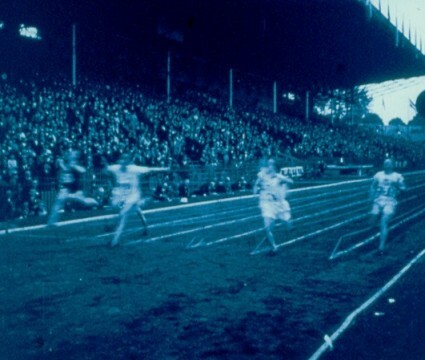 10 – Happy centenary!